Waghela Group specializes in the implementation of international standards to extensive production volumes and is capable of executing any required task according to strict customer demands and special climatic conditions. Waghela Group furnishes its customers with technical service support as well as offering a comprehensive guarantee. We believe it's the quality maintained during the fabrication of the Aluminum, M.S. & Stainless Steel profile products which provides the proper look fit and performance to the complete structure. 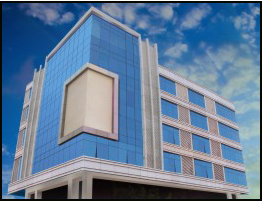 To achieve this goal at a cost effective rate Waghela Group utilizes the latest technology machines and techniques that increase the capability to achieve the required shapes by the Architects & Builders. Waghela group is a professional, friendly & dynamic organization commited to provide high quality work to the customers every time which meet our customers expectations. It gives us a great pleasure to introduce ourselves as Waghela group in Western Region in India particularly in Mumbai, Pune in Maharahstra & Gujarat. We have dedicated team of technically trained, intellectual personnel for different different operation of our companies.